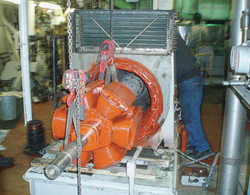 We repair all types of electric motors, induction motor, brake motors, servo motors, spindle motors, alternators etc. Owing to our deep expertise, we are engaged in DC Motor Repairing Service. Repairing of all DC running motors is done by our experts with the implementation of latest technology and quality approved components. DC Motor Repairing Service is provided by a team of highly experienced professionals on the basis of the client’s requirements. The maintenance of the DC motor is done by repairing or replacing its defective components. This service aims to enhance the performance of the DC motor. Moreover, we also assure timely execution of our service. Backed by services of experienced industry professionals, we are able to deliver our customers competitive DC Motor repairing, maintainence and rewinding services. To meet complete satisfaction of the customers, we are providing DC Motor Repairing Services. These presented services are quickly completed at the doorstep of the customers. Additionally, repairing service is easy to avail from the market at minimal charges. Our organization is engaged in providing DC Motor Repairing Service to our clients. Besides, our professionals make use of optimum quality repairing tools & technologies and stringently follow international standards to deliver DC Motor Repairing Service in an efficient manner. Further, we offer our services as per the specific requirements of the clients at most leading prices. Being a quality oriented organization we are involved in rendering DC Motor Repair service. This DC Motor Repair service is carried out by our professionals who are experts in their fields. Furthermore, at industrial leading price, customers can avail this service from us. 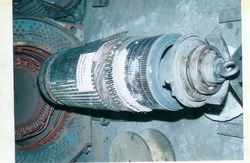 With our rich industrial experience, we hold expertise in offering DC Motor Repairing Service. These services are executed within the pre-specified time limits. The creative team of professionals is rendered these services according to the client’s requirements at very affordable and cost effective market rates.